In the spirit of the theory of six degrees of separation - that any two people in the world can be connected to one another through six relationships - we bring you what will become a semi-regular feature called “Six Degrees of the Library Collection”. You might be surprised how your favourite book can connect you to a wide world of reading. September 15th is the birthday of legendary British Mystery Author Agatha Christie. Christie is considered by the Guinness Book of the World Records to be the bestselling author of all time. There are so many interesting factoids from Christie’s illustrious career it’s hard to know where to begin, but I guess I'll chose that Christie was a founding member of something called the Detection Club: a society formed in 1928 or 1930 (sources vary) by a group of British mystery authors. The club was part social, part literary - members took an oath to follow certain rules in their writing including agreeing that their “detectives shall well and truly detect the crimes presented to them, using those wits which it may please you to bestow upon them and not placing reliance on nor making use of Divine Revelation, Feminine Intuition, Mumbo-Jumbo, Jiggery-Pokery, Coincidence or the Act of God?” The club still exists and in 2001 its current president Simon Brett oversaw the publication of a collection called The Detection Collection which contained new stories from living members of the club. Simon Brett is a British mystery author who, like Christie, is well known for a few of his series characters: featuring Charles Paris, Mrs Pargeter and Fethering. On his website Brett notes that while he is an accomplished author, he is not the Simon Brett who is a well known British wood engraver. Brett isn’t the only current author to share a name with someone else who is also famous. American author Robin Cook shares his name with a late British Noir author. The British Cook (not to be further confused with the British politician who also shares the same name) published his first few novels in the 60s and 70s under his own name, but eventually took the pseudonym Derek Raymond so as not to be confused with his American counterpart. In the late 1970s, Derek Raymond left the UK and lived in France for a number of years and stopped writing for a period. During this time he worked in several jobs, including as a vineyard labourer. Although Raymond didn’t go down this road, other British expats living in France have made quite a career out of writing about their time living there. A modern example is that of Peter Mayle, who wrote children’s educational books before turning to memoir and documenting his time in France in the 1989 book A Year in Provence. Joanne Kathleen (apparently her grandmother's name, not her own) Rowling might be a huge household name now and a face that children around the world recognize, but prior to the 1997 release of Harry Potter and the Philosopher's Stone, Rowling’s publisher reportedly worried that boys would not want to read a book by a woman, and so hid her gender by using her initials on book covers. 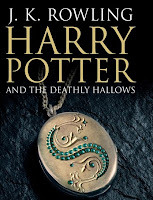 The antiquated fear is a strange quirk of Rowling’s success story that ties her to some of Britian’s most famous female authors of the past including Mary Anne Evans, who is better known as George Eliot.